Neurosurgeon who worked at John Hopkins Hospital. He was awarded the Presidential Medal of Freedom by President George W. Bush. 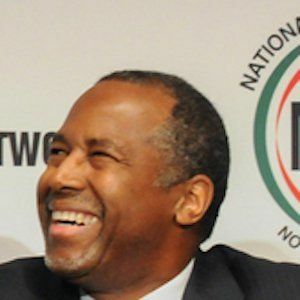 He became a 2016 presidential candidate and he quickly rose in the polls alongside Donald Trump. He attended Yale University and the University of Michigan Medical School. He released the book America the Beautiful: Rediscovering What Made This Nation Great in 2011. 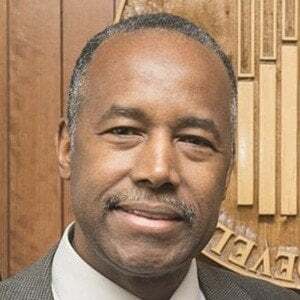 He married Candy Carson in 1975, and they had three children together, Murray, Benjamin Jr., and Rhoeyce. 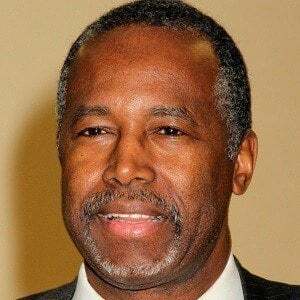 He was portrayed by Cuba Gooding, Jr. in the TV film Gifted Hands: The Ben Carson Story.